(RxWiki News) A simple vaccine could prevent cancer for hundreds of thousands of women around the world each year, according to new research. If everyone on earth received the new version of the HPV vaccine, up to 90 percent of cancers related to HPV infection, such as cervical cancer, could be prevented, according to this research. The article authors noted that cervical cancer is behind more than 250,000 deaths each year and affects more than 500,000 women globally. 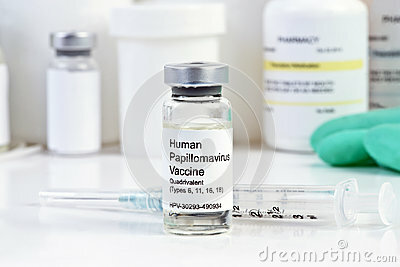 The HPV vaccine prevents infections caused by human papillomavirus (HPV). Certain strains of HPV are known to cause cervical cancer, as well as other types of cancer. Dr. Wheeler and co-authors noted that several studies have found the newer version of the HPV vaccine to be effective. Although the HPV vaccine could save countless lives, the article authors said, vaccination rates around the world were relatively low. These researchers encouraged efforts to increase public awareness of how the vaccine could protect women's health. Ask your health care provider whether the HPV vaccine is right for you. The American Society of Clinical Oncology published the article by Dr. Wheeler and team on its website and presented it at an annual meeting. The authors disclosed no outside funding sources or potential conflicts of interest.